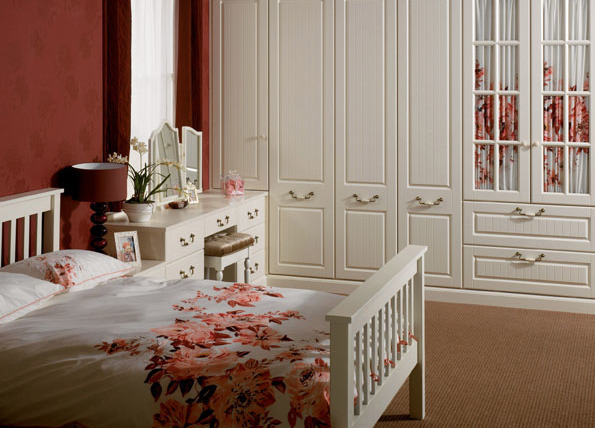 Design your fitted bedroom furniture around your storage requirements with the Crown Classic Bedroom Range. 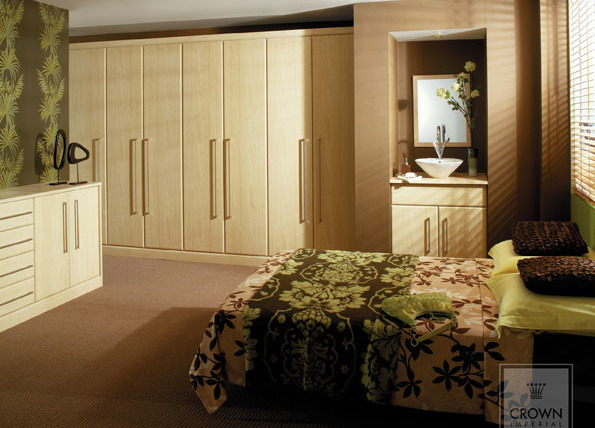 Browse through these images to view the 5 styles in this timeless bedroom range and create the bedroom of your dreams. VALBONNE Oyster - With a timeless oyster finish and traditional panelled design, the Valbonne is the classic choice for those wanting a fully fitted interior. A linen press with glazed doors is an attractive feature whatever your style. 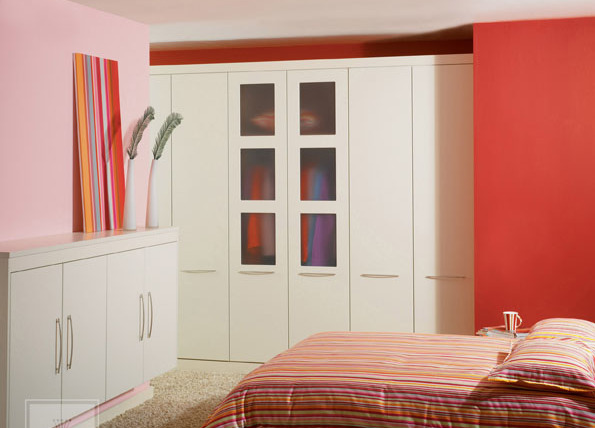 NAOMI Oyster - This simple oyster door complements contemporary bedroom schemes. Here, a pair of glazed doors have been incorporated to create an eye-catching modern design feature. CHANTILLY White - Create your own haven of luxury with the timeless look that Chantilly brings to the bedroom. A traditional knee-hole dressing table is a luxury that may be high on your own wish list. Also available in a white foil finish. VERONA Maple - The light natural tones of Verona's maple effect doors are the first choice for a thoroughly contemporary interior. KENDAL Oyster - This oyster finish panelled door is complemented perfectly by selecting the antique style drop handle with a ceramic crackle insert. The stable door corner wardrobe is a clever storage solution.